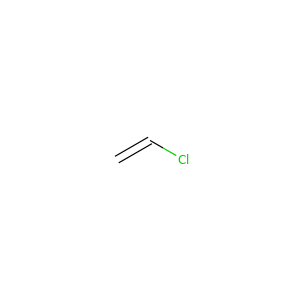 Acetaldehyde (systematic name ethanal) is an organic chemical compound with the formula CH3CHO, sometimes abbreviated by chemists as MeCHO (Me = methyl). It is one of the most important aldehydes, occurring widely in nature and being produced on a large scale in industry. 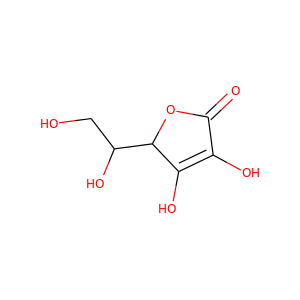 Acetaldehyde occurs naturally in coffee, bread, and ripe fruit, and is produced by plants. Chlorine is a chemical element with symbol Cl and atomic number 17. The second-lightest of the halogens, it appears between fluorine and bromine in the periodic table and its properties are mostly intermediate between them. Chlorine is a yellow-green gas at room temperature. 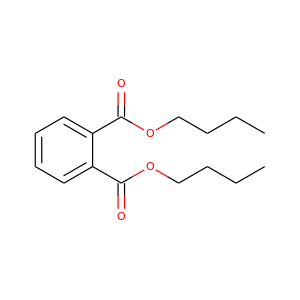 Ethylene oxide, called oxirane by IUPAC, is an organic compound with the formula C 2H 4O. 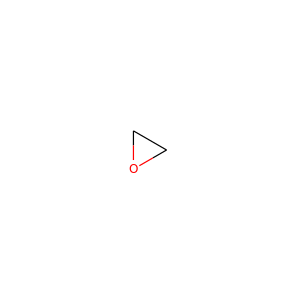 It is a cyclic ether and the simplest epoxide: a three-membered ring consisting of one oxygen atom and two carbon atoms. Ethylene oxide is a colorless and flammable gas with a faintly sweet odor. Nicotine is a potent parasympathomimetic stimulant and an alkaloid found in the nightshade family of plants. Nicotine acts as an agonist at most nicotinic acetylcholine receptors (nAChRs), except at two nicotinic receptor subunits (nAChRα9 and nAChRα10) where it acts as a receptor antagonist. Nicotine is found in the leaves of Nicotiana rustica, in amounts of 2–14%; in the tobacco plant, Nicotiana tabacum; in Duboisia hopwoodii; and in Asclepias syriaca. Styrene, also known as ethenylbenzene, vinylbenzene, and phenylethene, is an organic compound with the chemical formula C6H5CH=CH2. 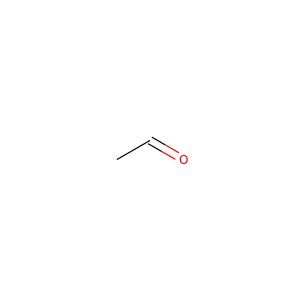 This derivative of benzene is a colorless oily liquid that evaporates easily and has a sweet smell, although high concentrations have a less pleasant odor. Styrene is the precursor to polystyrene and several copolymers. Dibutyl phthalate (DBP) is an organic compound commonly used plasticizer. With the chemical formula C6H4(CO2C4H9)2, it is a colorless oil, although commercial samples are often yellow. Because of its low toxicity and wide liquid range, it is used as a plasticizer. Vinyl chloride is an organochloride with the formula H2C=CHCl that is also called vinyl chloride monomer (VCM) or chloroethene. 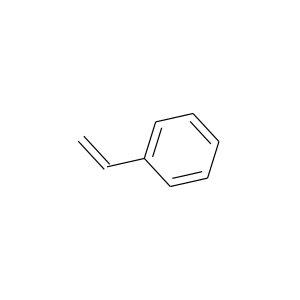 This colorless compound is an important industrial chemical chiefly used to produce the polymer polyvinyl chloride (PVC). About 13 billion kilograms are produced annually. 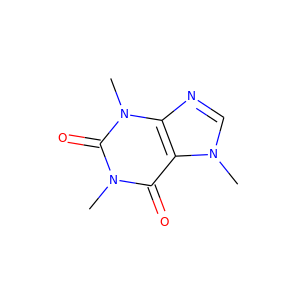 Caffeine is a central nervous system (CNS) stimulant of the methylxanthine class. It is the world's most widely consumed psychoactive drug. Unlike many other psychoactive substances, it is legal and unregulated in nearly all parts of the world. 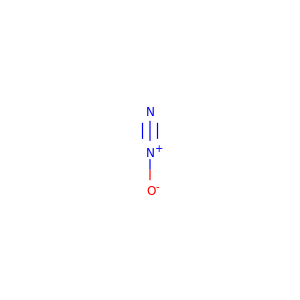 Nitrous oxide, commonly known as laughing gas or nitrous, is a chemical compound, an oxide of nitrogen with the formula N 2O. At room temperature, it is a colorless non-flammable gas, with a slight metallic scent and taste. At elevated temperatures, nitrous oxide is a powerful oxidizer similar to molecular oxygen. Liquid oxygen—abbreviated LOx, LOX or Lox in the aerospace, submarine and gas industries—is one of the physical forms of elemental oxygen. 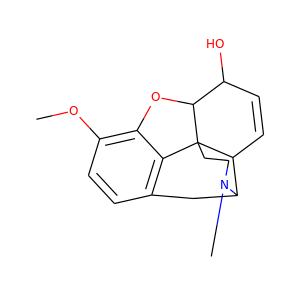 Isocodeine is an opioid research chemical related to codeine. It is an epimer of codeine that can be prepared from it by a Mitsunobu reaction. 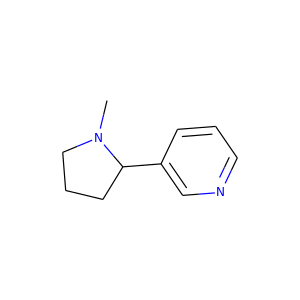 Dozens of derivatives and analogs of isocodeine and the related compound isomorphine have been produced. 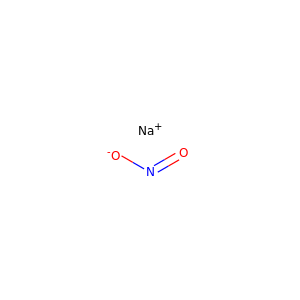 Sodium chloride , also known as salt or halite, is an ionic compound with the chemical formula NaCl, representing a 1:1 ratio of sodium and chloride ions. With molar masses of 22.99 and 35.45 g/mol respectively, 100 g of NaCl contain 39.34 g Na and 60.66 g Cl. Sodium chloride is the salt most responsible for the salinity of seawater and of the extracellular fluid of many multicellular organisms.